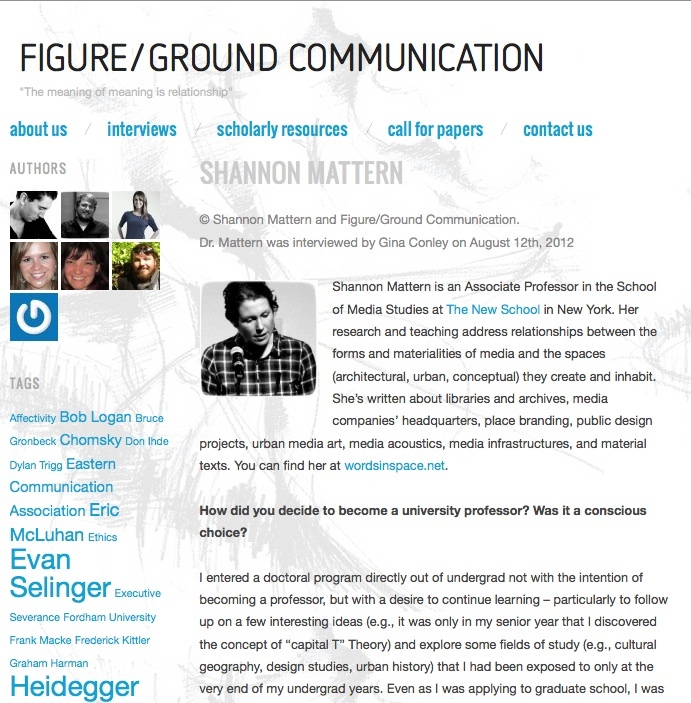 I was interviewed by Figure/Ground Communication, a great grad-student-run website featuring media studies-related academic resources, including interviews with scholars in media and related fields. 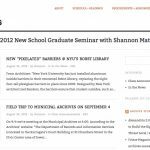 It’s a particularly useful resource for graduate students who are considering pursuing PhDs and/or work in the academy or, more generally, in education. My New School colleagues Peter Haratonik and Simon Critchley were also interviewed, as were my pal Jussi Parikka, lots of OOO-ers, and a bunch of of other folks I greatly admire (e.g., Ann Blair, Elisabeth Eisenstein, etc. ).